With the conclusion of Naruto Shippuden a few weeks ago, you’d think that the Naruto world and franchise would lay dormant for a bit before the next big revival came through. You’d think, but you’d be thinking wrong, because it seems like Naruto is a franchise that has to live on, both for Shueisha, and also perhaps, for long time fans of the franchise itself. 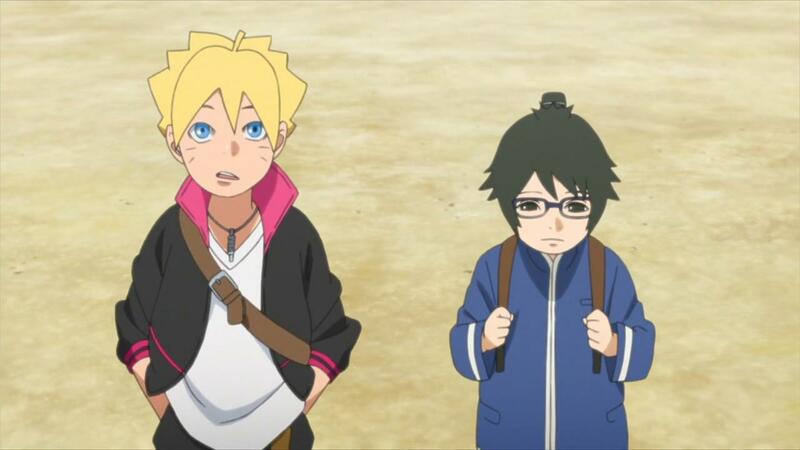 With Naruto’s story pretty much over with, the torch now passes over to his son, Boruto. 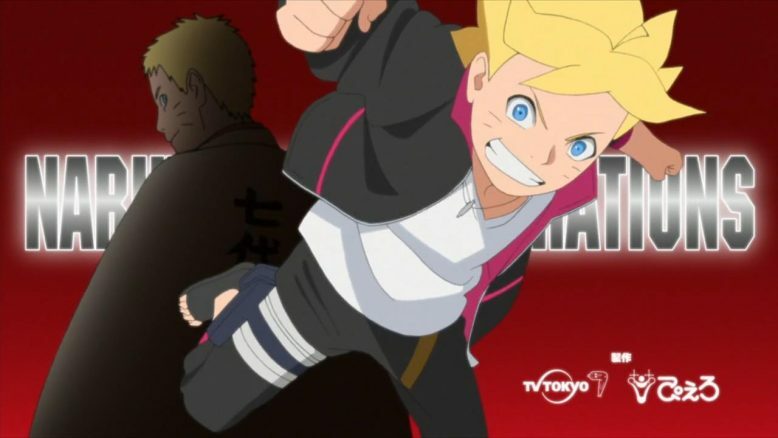 What’s interesting here is that this series is not the first time that fans have seen Boruto, as the lovable character not only made an appearance in the epilogue for the original Naruto story, but was also the star of his own movie a little while back. So this series doesn’t have its work cut out for itself in that particular department at least. 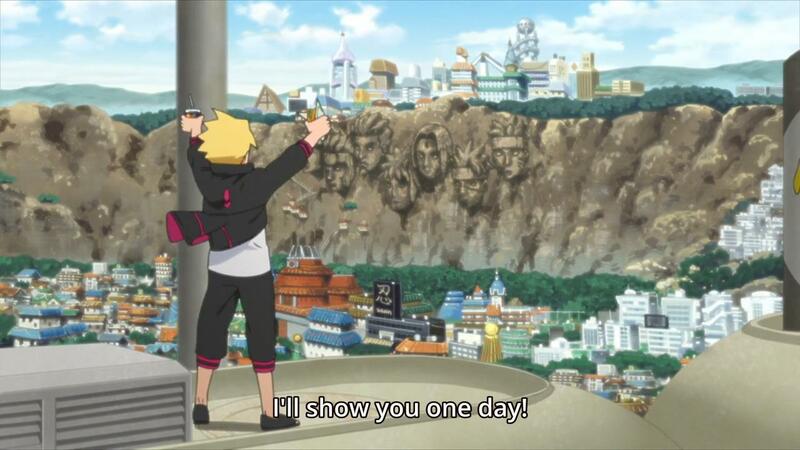 Boruto’s already been introduced to audiences, and accepted if nothing else. One of the most interesting elements of Boruto (which can be found both in the movie, and in this series), is his relationship to his father. While Naruto’s story is pretty much done, its fascinating to see that despite how great of a hero the guy is, his parenting skills aren’t all that impressive. Its a fascinating dynamic, seeing a hero pretty much win piece and achieve his dream, but still have faults and problems regarding his family. And Naruto’s family is feeling the burn, as the guy is never there for them it seems. I’m sure people can definitely relate to Boruto, as I’m sure we’ve all been in a spot where our parents have been too busy to really pay attention to us. For some of us, its the rare occurence that just throws us off, but for others, Like Boruto, its pretty much his life. His lack of appreciation for his father, and his determination to set himself apart from his father’s legacy, is a really clever core foundation to build a character on. Naruto was without parents, and wanted to have everyone accept him. Boruto has parents, but he wants to be different and not be equated to them. It feels like the natural extension of what Naruto has always been about, family and how people relate to it. There’s the ninja stuff obviously, but I think as Naruto matured, it definitely started to use the more fantastical stuff as a kind of brush to tell more heartwarming stories with. To that end, the way Boruto, the anime series, opens up with is pretty much indicative of that. Boruto encounters a shy rich kid named Denki, who seems to be having his own issues with his father, and what to do with his life. And its in this story, I think, that Boruto is established as a bit more of a likable character than what we saw in the movie that bore his name. 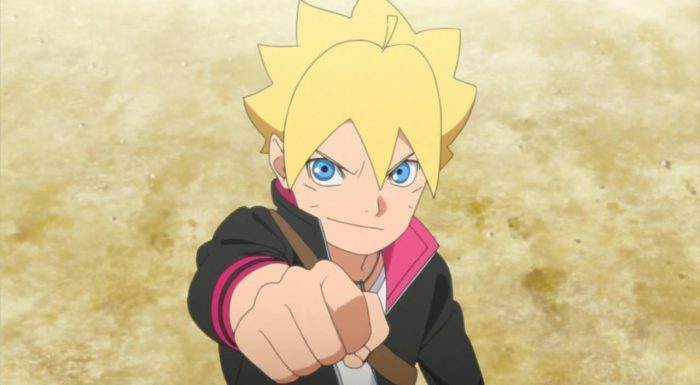 The Boruto in the movie had his daddy issues, but he was also a bit of a spoiled brat. This version, has all of that, but he’s also a nice guy who genuinely looks out for his friends and does good. He’s now got the same charm that Naruto himself had in his younger years, albeit with some pretty stark differences. Unlike Naruto, his son isn’t all that alone, and has friends and makes friends wherever he goes. That, coupled with how he really one ups Naruto on the destruction and mischief level, makes for a pretty interesting progression of the family’s “trouble making” tendencies. 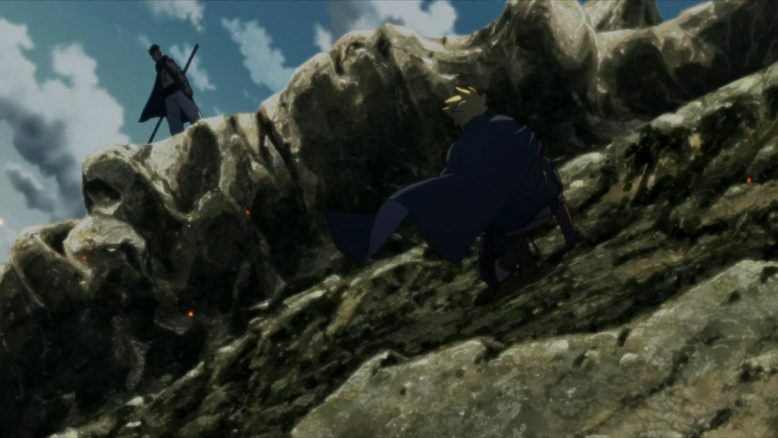 And of course, its worth talking about that big scene at the start of the episode, with a very mature and older Boruto fighting some bitter enemy of his amidst the ruins of Konoha itself. That’s some pretty depressing imagery that seems to be in the future, with a much bleaker show perhaps, coming further in. Naruto had its own bleak moments, but I think Boruto’s story is definitely setting itself apart from the more “Feel good” feel of Naruto itself. If nothing else, this story is building to a very apocalyptic conclusion. It’ll be interesting to see how long Boruto is, and how many years it takes for the show and franchise to get to that very scene it opened with. I’m hoping to tentatively blog Boruto on a regular basis. We’ll see how it shakes out, and if the show doesn’t kill its own momentum with fillers like the previous incarnations of the franchise did. As long as the show continues to be as good as it was this week, you’ll definitely see me talking about it here.